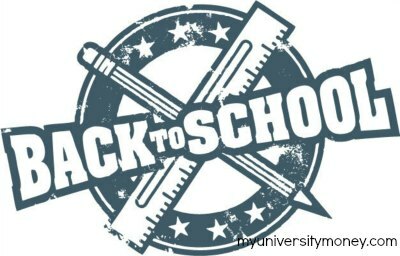 School is about to start once again, and you could probably use a checklist of items that you need to bring to university. If you are an incoming freshman, you’ll probably find this list especially helpful. If you are a returning student, it may serve mainly as a refresher – but feel free to add additional items in the comment section. Once you are living in school, mom and dad won’t be around to handle this less-than-desirable chore for you – you’ll be on your own. And you’ll need some supplies in order to make it work. You’ll need a laundry basket. It will serve two purposes – as a place to put your dirty laundry, and as a basket to carry your laundry to and from the laundry facility. You will also need to bring your own detergent, dryer sheets, and at least a small supply of bleach for your white clothes. The laundry facilities may offer these in vending machines in single use sizes, but they are very expensive over the course of the school year. It should go without saying that you will bring your own laptop – that will prevent you from having to wait for a school provided computer. But you should also have your own printer to hook up to your laptop, that way you’re not dependent upon the school’s facilities. Keep at least one ream of printer paper available, as well as a backup supply of printer ink. Find out the specific bed size that will be available in the dorm room – it’s almost certainly twin size, but it never hurts to check before spending money. Bring two sets of bed linens (that way you always have a backup when you’re doing laundry), and as many blankets is you’ll need to keep warm. Also bring your own pillow(s). Though they may be supplied by the dorm, you don’t know how old they are or how many people used them in the past. Beyond bedding, you should also bring your own towels and wash cloths for bathing. Once again, at least two sets, that way you will always have a spare for laundry purposes. A microwave oven and a small refrigerator can be financial lifesavers in a dorm room, but always check with the university to see if one or both might be supplied with the room. You should also bring a supply of microwavable containers so that you will be able to both cook and store your food. And though you may be able to rely on plastic utensils, it’s never a bad idea to bring some permanent ones from home. You should also bring a supply of your favorite snacks and quick foods, as well as some of your favorite soft drinks. You’ll be replacing those over time, but it’s good to have a starter supply in the meantime. You may want to bring a small TV, but again check with the school to see if one might be provided. If you are not a big TV watcher this may not be entirely necessary. You will be busy with your schoolwork, socializing and other activities that may leave little time for TV watching anyway. An absolute necessity: a good set of headphones – and a back up pair of headphones. Since you’ll be sharing a room with others, you’ll need to concentrate on quiet sources of entertainment, and that will mean headphones. You can hook them into whatever your favorite source of music is without disturbing anyone else. In addition to personal toiletries, you may also want to bring in a blow dryer, toilet paper, and facial tissue. That will be an ongoing need, but it’s always best to be prepared going in. Yet another must-have item is personal medications. This can include pain relievers, cold medicine, nasal spray or any other medications that you make frequent use of. The need here will be heavily dependent upon your major and coursework, but it is safe to say that most degree programs today require at least a few courses in math and science. Since it is unlikely that you will be permitted to have a cell phone or use your laptop during exams, a calculator can be a lifesaver, and you should buy the best one you can afford. Also – a backup battery – you never know when a calculator is going to crap out, but you can probably bet your life that will happen in the middle of a major exam. This is best to do in advance so you have time to consider less expensive alternatives. Go online and find out what the specific requirements are for each course you have, then begin gathering the necessary items before you go off to school. Also, get an organizer of some sort, and get comfortable using it. It will help you manage a busy and confusing schedule, but just as important, it’s an excellent practice for when you enter the employment world. Survey your life at home and make a list of other items that you think you’ll need or would like to have. You’ll be living in your dorm room, so you will want to make it as close to home as possible, without going overboard. Can you think of other items that a new or returning student will need?